Pediatric Medical Group of Santa Maria, INC. Joining his father in practice in 1990, Dr. David Ikola M.D. has continued his father's legacy of dedicating his career to providing the best medical care to the community. He is the proud father of two children, Ben (27) and Emily (25). Dr. Ikola completed his rotating internship at St. Francis Hospital in New York and his pediatric residency at Children's Hospital of Buffalo. He is board certified in pediatric medicine and he has had the opportunity to live abroad where he developed his fluency in Spanish. 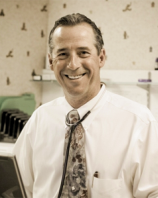 Dr. Ikola enjoys living on the Central Coast and giving back to the community.